You manage a branch of a world famous hotel chain that is the toast of many of the major capitals of the world. Unfortunately, your location is not located near any of the major capitals of the world, and transferring the panache of your brand name to your particular location can be difficult. That’s why local SEO for hotels is critical to guiding people to your doors. The Internet has a global reach, but research has proven a preponderance of data that suggests local searches are far more likely to yield actionable results from interested hotel guests. This is because more than 70% of Internet inquiries are related to local searches, and 82% of those inquiries resulted in a follow-up offline visit. When you stop to think about it, those figures make sense. After all, we might Google awesome places to sleep in Paris; those searches do little good for the guest looking for a local place to stay in Ohio. Here at Hopbots, we understand how to optimize your local SEO for hotels that are designed to help you get found on the worldwide web. We make sure that your location is optimized for local maps while geo targeting your landing page. We can also assist in local directory optimization and local business listings. Like just about every hospitality business these days, successful Internet marketing for hotels is the key to attracting more guests to your establishment. With the ease of the Internet, guests are able to check out the full pantheon of amenities that your hotel has to offer and book their rooms accordingly. Furthermore, studies have proven that more than nine in ten people make purchasing decisions based on the recommendations of friends and family on Facebook, Twitter, Instagram, and other social media outlets, so it just makes sense for you to look at SEO for hotels that more fully engages your future customer base. While more than three-quarters of all small businesses in America utilizing the tools of social media for their advertising needs, and more than 90% report a significant bump in website traffic. Social media is an excellent opportunity to engage one-on-one with your customers in real conversations and dialogue. If they have questions, you have answers. If they have complaints, you have solutions. Indeed, savvy use of social media affords the opportunity to reach out to over a fifth of the world’s population, and when you are in the business of serving weary travelers, the Internet is the best place to get to know road weary world travelers. 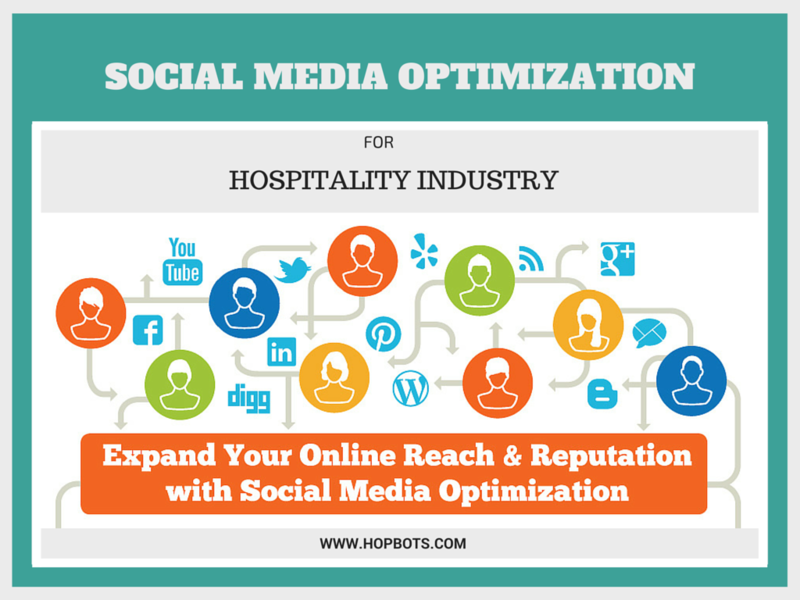 Here at Hopbots, we specialize in helping your hotel reach its full potential by assisting in key aspects of your outreach program. Towards that end, you can rely on us for such social media optimization as social content sharing, managing wall content, blogging services, photo optimization, as well as managing all your Facebook and Twitter content. Reputation Matters so Let Us Manage It for You! As anyone in the hospitality industry knows, managing a hotel’s reputation is critical to that business’ success. Unlike other industries however, customer expectations are higher than that of a restaurant or retail outlet. Undoubtedly, this stems from the level of intimacy that a hotel provides its guests. After all, the only other place that a guest will typically sleep and bathe is in their home, so they bring that level of expectations to their hotel experience. It is well established that an unsatisfied customer will be far quicker to go to social media to complain about a bad experience than a satisfied customer will to write a glowing review. It’s human nature. As such, it is important to consistently manage the hotel’s online reputation to ensure that legitimate grievances are properly resolved, and spurious complaints are dealt with in a professional manner. Protecting a brand’s online reputation is the same as protecting the brand itself. Unfortunately, the myriad of tasks, typically associated with the average General Manager’s day, makes finding the time to troll social media for negative comments problematic. Luckily, that is just one aspect of the overall services that we provide here at Hopbots. Let us help you identify the real source of customer complaints, develop a viable reputation management strategy, and continuously monitor your online reputation across multiple social media platforms. Remember, when it comes to coaxing people to come sleep under your roof, your reputation is the deciding factor in their decision, so let us help you protect that reputation. Tracking calls is the best way to monitor the effectiveness of your online marketing efforts. Unless you track the origins of your calls to their origins, it is nearly impossible to determine whether or not you are maximizing your ROI for your online marketing efforts. After all, why keep piling advertising dollars into a program or platform that is not yielding any results. Call tracking allows you to close the loop on your marketing efforts, so you won’t be left wondering what campaigns are working and which ones are failing to appeal to your target audience. Based on an analysis of this analytical data, you won’t be shooting blindly into the dark with your advertising efforts, but rather, you will be tightly targeting each dollar spent with a focused approach that will lead to solid customer conversions. 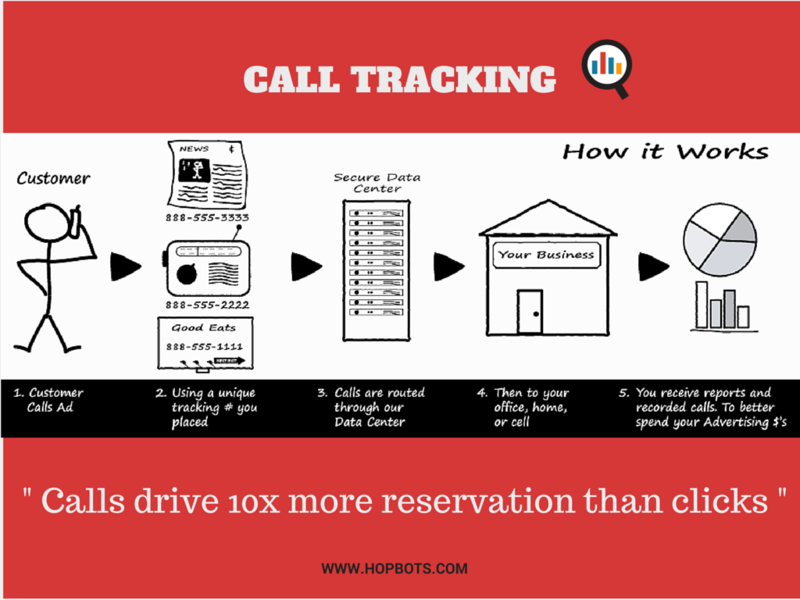 Let our team at Hopbots show you how our call tracking efforts can lead to a much higher ROI for your advertising dollar while transforming customer inquiries into booked reservations at your hotel. If a picture is worth a thousand words then a video is surely worth a book the size of War and Peace. That’s why hotel owners and managers are turning to video optimization to highlight the details and amenities of their property. Just as important to satisfying customer curiosity, a well optimized video has the impact of propelling a site’s organic Google ranking. Two decades into using the Internet, today’s Internet user is a sophisticated knowledge seeker, and a blended search that reveals compelling video, images, maps, and content is highly sought after. When it comes to your ROI for online activities, optimized video gives hoteliers, such as yourself, the biggest bang for your advertising buck. 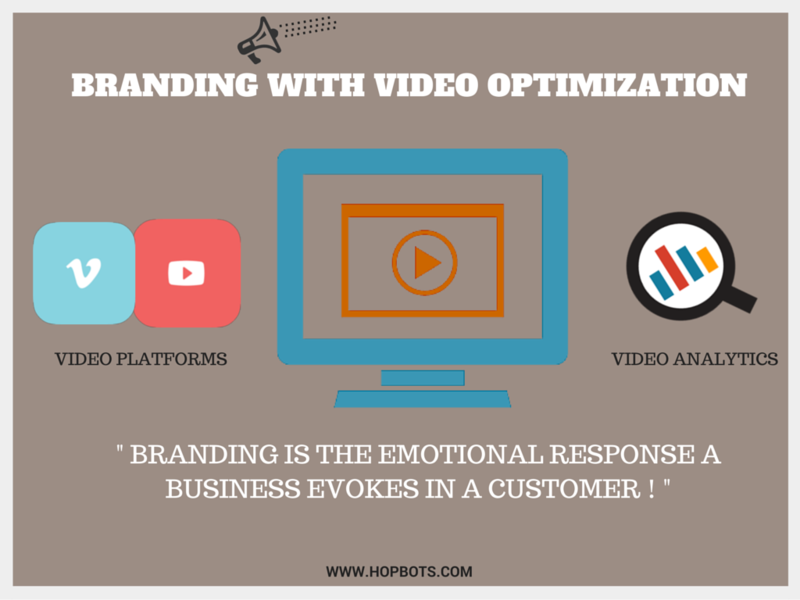 Here at Hopbots, we specialize in creating video content for websites that are guaranteed to propel your property to the forefront of local Google searches. In addition to handling your video creation, transcriptions, and distribution, we also work with your team to optimize your video presentation to help increase your site visitors and transform them into well rested, satisfied guests. 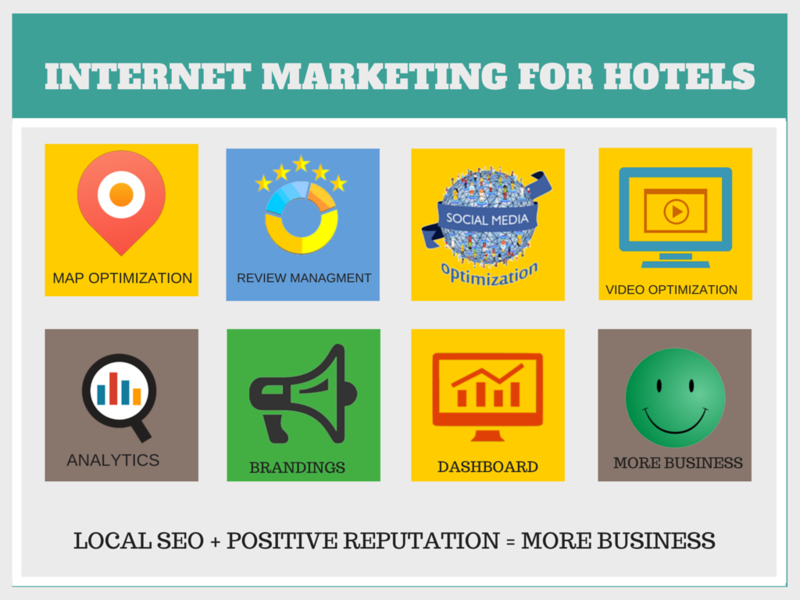 If you are a hotel owner or manager, and you are struggling with Internet marketing for hotels, we can provide the solutions that you have been looking for when evaluating your SEO difficulties. If you find yourself in this unenviable position, please do not hesitate to reach out to us here at Hopbots. Call us today at 855.955.5656 today, so we can start helping you with everything from your hotel’s reputation management to your search engine optimization efforts and so much more starting tomorrow.